Packing for your vacation is an easy and exciting task as you just need to fold your swimsuit and throw in your flip-flops and you are ready to enjoy your leisure days ahead. However, packing for a business trip is a whole different story. That is because business packaging brings a different type of excitement known as - Anxiety. Although, if your next business trip is going to happen in New Jersey then you can hire a limo service in Sayreville, NJ from Empire Limousine in style to impress your business partners. While if you are still thinking about what to pack for the business trip then have a look at the list of these things. You should always keep plenty of business cards with you and some within your reach as you never know when you will run into or strike up a conversation. Further, having business cards with you is the key to making the most of the improvised networking opportunities travel offers. While you are traveling for a business trip, chances are that you will need the most formal business attire. While for that, you need to carry at least a pair of pants, a jacket, and few shirts to wear underneath for variance both between work days and between day and night events. In order to match with your business attire, you should at least bring two pairs of shoes that go with it. Those two pairs should include a comfortable setting for a walk around during the day and the other one should be more dressy pair for important dinner with your clients. If you don’t want to get frustrated by the hotel’s internet, it is best recommended that you bring your own mobile broadband with yourself. If you are packing clothes for more than 1-day business trip then avoid bringing any fabric that wrinkles easily. Instead, you can opt for wrinkle-free cotton fabrics or lightweight wool. Also, keep in mind that the amount of time you will be spending in meetings and outside leisure activities, so pack accordingly. As you already know that your smart devices are not powered by air and most hotel rooms have limited access to charging plugs. In such cases, you can buy multi-plug which will help you to charge multiple devices from one socket. You can save your time and energy by packing some personal items like a toothbrush, toothpaste, mouthwash, soap, etc. which you will need during your trips. Keep your travel documents well organized and keep them safe in a travel document organizer. This is one of the points that you need to remember during your every tip. These documents can include travel tickets, itineraries, passport, travel insurance policies, and much more. The chaos of travel can often create discomfort, in such situations; you need to make yourself comfortable by bringing some relaxation aids which may include your mp3 player or your favorite novel. When you are on a trip, you will want to be available at all times, so try and get yourself a Bluetooth headset to keep in touch with your contacts while driving or walking through the airport. If you are going to buy Bluetooth headphones, buy the ones with the noise canceling technology to help you tune-out any unwanted noise around you. Last but not the least, is the lightweight carry-on luggage to carry all the above essentials. However, a carry-on rolling bag should be sufficient enough for any light business trip. Also, remember to buy a bag according to the airline’s standard, as you don’t want to pay extra for the luggage. After you have finished your business trip and heading on your way back, you can get a limo hired from one of the NJ’s limo service providers to carry you from the hotel to the airport. I hope you enjoyed this blog post about the top things you need to pack for a successful business trip and plane travel for work. 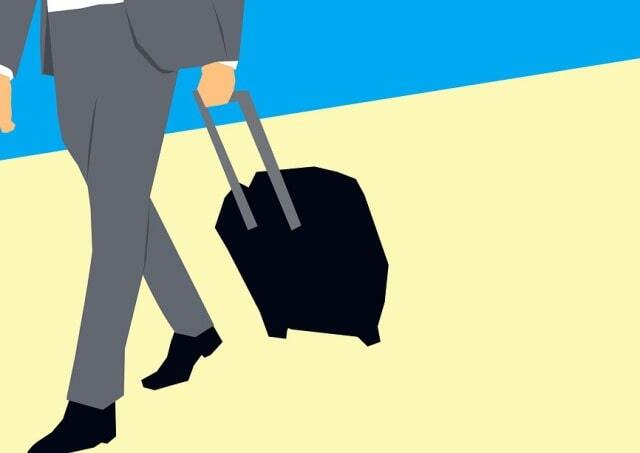 Interested in more articles about business trips and work travels?